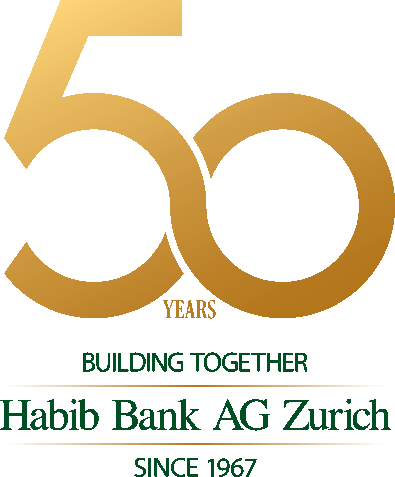 Habib Bank AG Zurich (HBZ) was established on August 25, 1967 in Switzerland. Based on a solid foundation of banking tradition that spans several generations, the Bank began its operation from 1 Todistrasse, Zurich. Traditional banking values set in the context of international banking has determined HBZ's corporate philosophy - "Service with Security" - for over 50 years in operation. Providing corporate, personal, private, and correspondent banking products, we offer highly personalised service through our international network of branches, subsidiaries and affiliates. All group banking functions are managed out of the Head Office located in Zurich, Switzerland at 59 Weinbergstrasse. The group Private Banking division is based nearby at 53a Weinbergstrasse. HBZ, a technology pioneer and leader in the banking sector offers a wide range of financial products and services complemented by innovative delivery channels. Today, with over 90 years of banking tradition, HBZ is positioned as a leading international bank, providing business and personal financial services, with a focus on owner-operated enterprises across the globe. Copyright © Habib Bank AG Zurich.